Cater to ghoulish ghosts and vampires! Help Amelie cater to guests dressed up as ghosts, goblins and vampires. 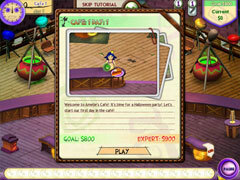 Keep the cooks busy making brain pie and witch's brew, and rack up big money on 50 fast-paced levels. 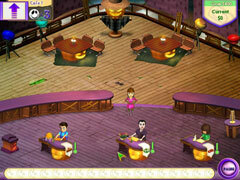 Amelie's Cafe: Halloween features a match 3 mini-game that allows you to earn bonuses as you play. Upgrades for three creepy cafes will also keep you from going under. 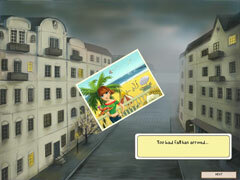 With simple but challenging gameplay, ghoulish graphics and two game modes to master, Amelie's Cafe: Halloween is your ticket to spine-tingling fun!